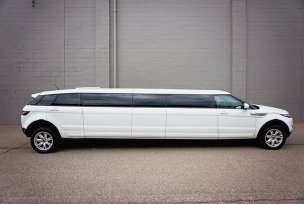 MVPLimo.com has Metro Detroit's finest selection of luxurious limousines and limo buses! You're welcome to search around, but your search for a world class experience ends right here and now. If astounding luxury wasn't good enough, you're simply not going to find a better price for comparable vehicles anywhere in Michigan. While you're here, be sure to check out our vehicles below to see which fits your tastes and needs best. If you would like to see one in person feel free to call us and we would be glad to set up an appointment for you to visit our showroom. 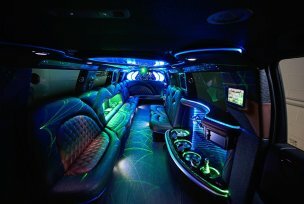 Well known for it's opulent style, our flagship limousine offers unique and elegant flair to any event. 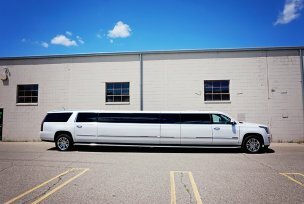 The jet-door Escalade stretch limo offers comfort and amenities far beyond what is normally presented in a limousine this size. 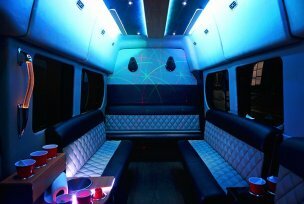 Our 10 - 12 passenger Range Rover limousine is the perfect choice for smaller groups that want luxury, fun, and comfort. 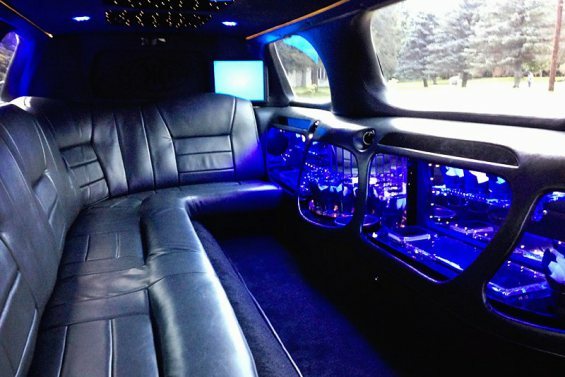 This SUV is a beautiful custom vehicle with unparalleled features. 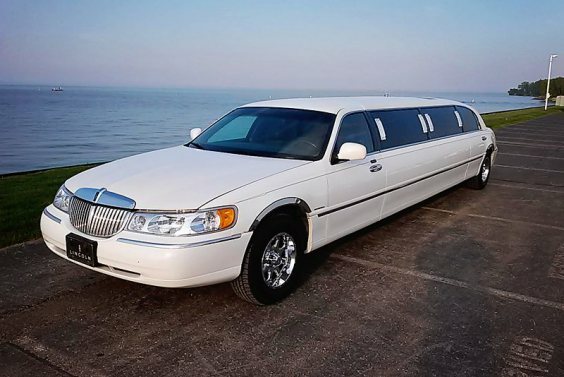 Another All-American standard is our perennial favorite, the Lincoln Town Car Stretch limousine. The elegant throwback is perfect for intimate groups of up to 12 people. Sometimes you just can't beat the feeling of being in a time tested classic! 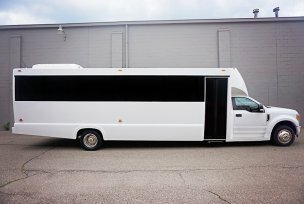 Great for corporate events and an oft-requested vehicle for weddings. Our largest offering is both comfortable and unique in it's presentation. 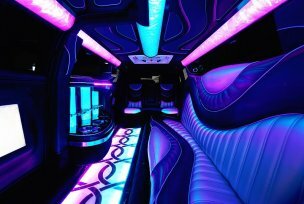 You're surely going to make an impression on everyone with the ultimate in style and luxury offered here, as you hit the town in this technological wonder! 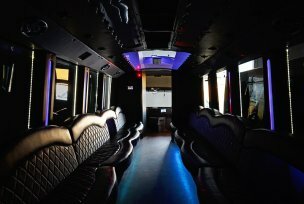 Our 34 passenger limo bus is great for most any group that desires the standing room and spaciousness of a bus and all the luxury of the very finest limousines that grace the streets of the Motor City. 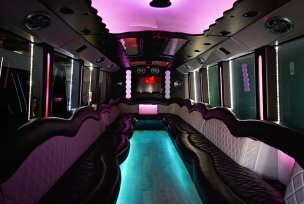 Our party bus for 28 to 30 passengers is a great choice for all types of events! 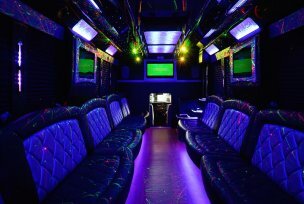 This bus has all the luxurious features that you'd expect from our vehicles, so you're sure to have a great time on board this vehicle! 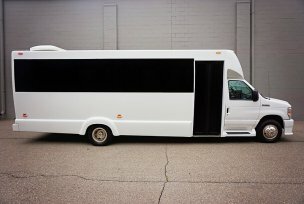 Our smallest (but far from small) party bus offering is far from entry-level in features. 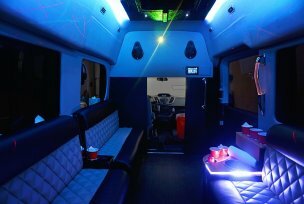 Treat yourself, and your party to a bus with class and elegance, as well as a great many entertainment features to keep your party occupied during lulls in the evening. 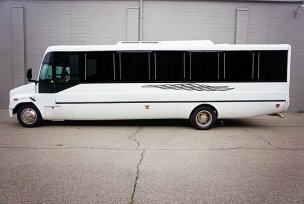 Our 12 passenger maximum capacity limo van is one of our most popular in the fleet. It's a great vehicle for those of you with smaller parties that don't want to spend a bunch of extra money on a party bus. Are you ready to book? 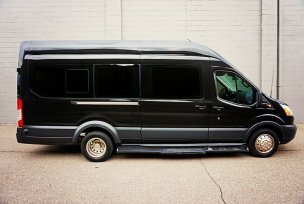 Would you like to view our vehicles in person? 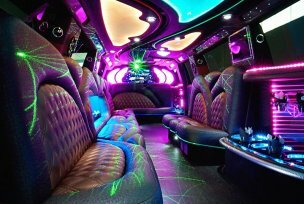 Here at MVP Limo, we live up to our name by providing reliable service, offering the most lavish limousines, and affordable prices. Our customers are our MVPs and we make sure you're treated as such. 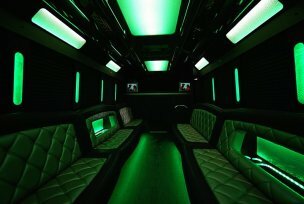 You wont find a better limousine company. If you need to contact us for any reason, just pick up the phone! We're here 24/7 for your convenience. Get a quote, book a reservation, make payments, or ask questions! © MVP Limo 2017 | All Rights Reserved.